POWERLINE™ – Mountain Power, Inc.
Get the most out of your equipment with the POWERLINE™ series from HAWKER®. Whether you're operating sit-down rider forklifts, walkies, or narrow-aisle lift trucks, POWERLINE™ will keep you up and running. Whether it’s the stripe Melvin Sanchez paints on the grids he casts or the initials Earl Thompson stamps into the posts he burns — each and every person who helps build a HAWKER battery places his or her mark of quality on it. The quality goes in before the name goes on! The National Standards Association of Ireland (NSAI) has also placed its mark of quality — ISO 9001:2008 Certification — on our manufacturing process. The foundation of the superior performance and long life cycle of a POWERLINE™ battery is based on the battery’s design and construction. Densest Paste – The pasted plate is the heart and soul of your lead-acid battery. The grids are pasted with active material that is the densest available anywhere in the industry today. POWERPLUS™ Formation System – Our revolutionary formation system uses an acid recirculation and two shot forming process. This ensures that every cell of every battery receives a uniform temperature-controlled acid bath. We also put our batteries through a full charge/discharge cycle before they ever leave the factory. Multi-Layer Retention System – Includes the horizontal wrap, vertical wrap, koroseal jacket, and all encased in a bottom boot. Wrapped plates are then sleeved in a high-quality, microporous plastic material. 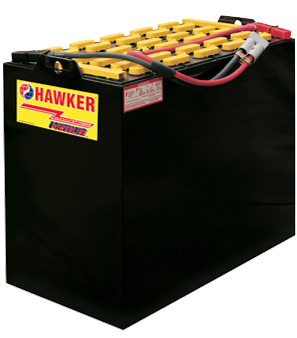 HAWKER’s tough, thick grid construction reduces corrosion and generates cooler battery operating temperatures — both leading to increased battery life. HAWKER’s dense pasted plate ensures long-life operation under deep cycling as well as continued, uninterrupted power. Being subjected to significantly lower temperatures during formation results in longer battery life. Sleeved separators in the Multi-Layer Retention System eliminate failures caused by separator misalignment. 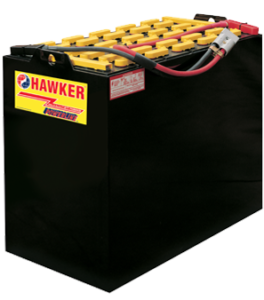 Call Mountain Power now to cover all of your battery, charger and power system needs.